This book documents an installation in the matorral submontano of the Sierra Madre Oriental of Mexico. The work at merges the traits of an artistic experience with those of a scientific research. The interest in the ecosystem of the matorral, and a possible alternative lifestyle in contact with it, started with a thesis project in architecture at the Universidad de Monterrey. Later, the idea that engaging with the matorral may lead to a different understanding of the contemporary landscape, developed into a funded research project. 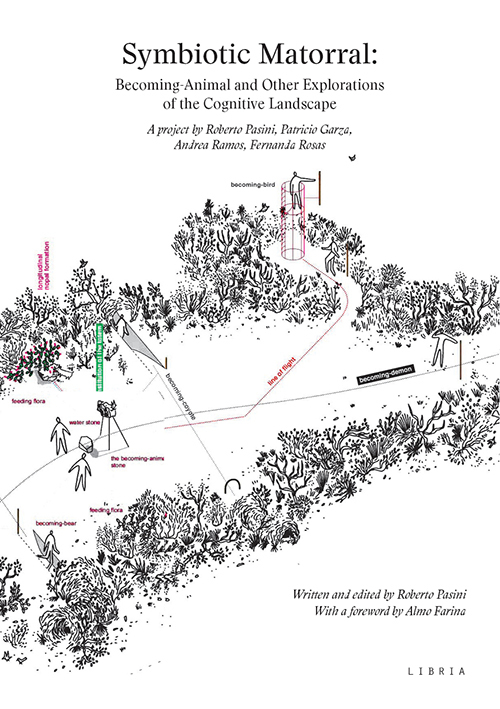 The installation of a flora-and-fauna route through the ecosystem pursued the double aim of facilitating ecological awareness and implanting a cultural narrative in the landscape.